Is it ok to kennel or crate my dog at night? 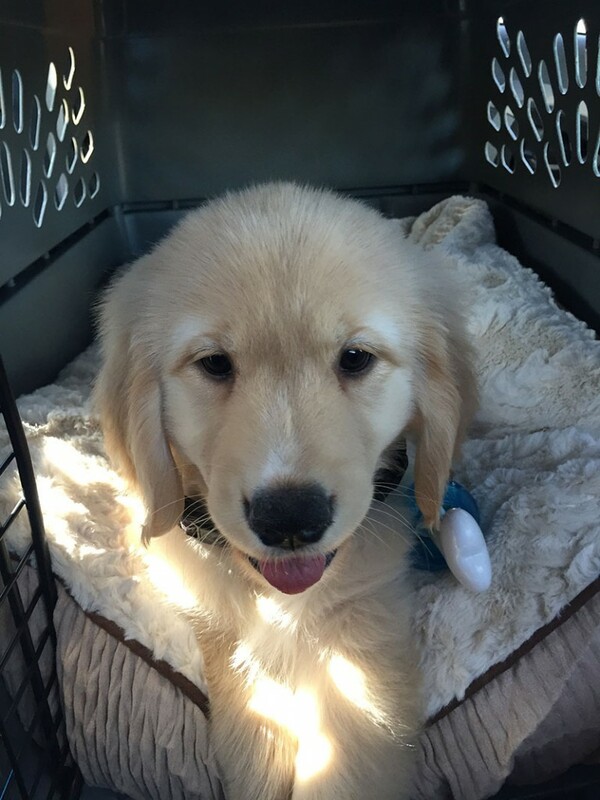 Some owners believe that kenneling (or crating) their puppies and dogs is the best way to train and keep her feeling secure and safe. Others cannot bear to do so. Kenneling is a matter of personal choice and you must make your own decision. 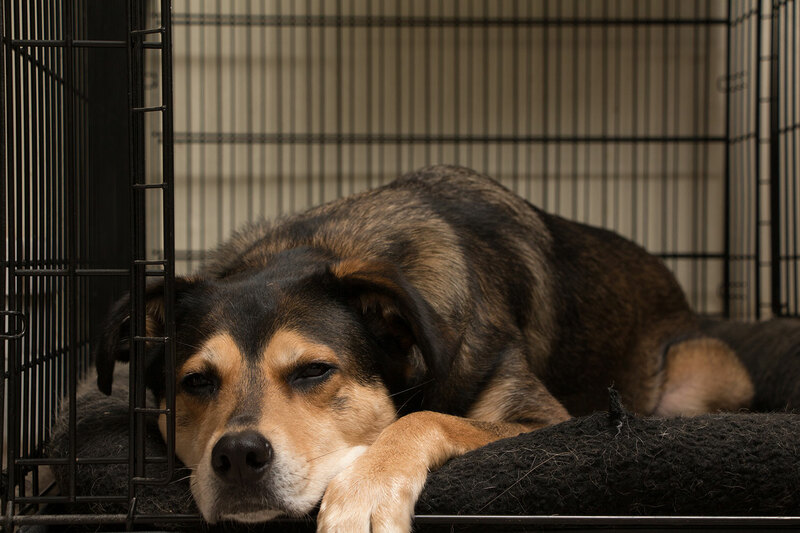 If you do choose to kennel your dog, one of the most commonly asked questions is, “Is it okay to kennel my dog at night?” The answer is yes, if you choose to use a kennel, night time is ideal for kenneling! From back to their wolf history, to the very mother that gave birth to them, dogs are genetically hard-wired to seek safe spaces. When your pup was born, its mother sought out a quiet, small space to give birth. Dogs often seek enclosed spaces (under a table, curled up in a favourite chair, or their very own kennel or dog house) for solitude or nap time. The crate must be large enough for your dog to stand, turn around easily and lie down stretched out comfortably. 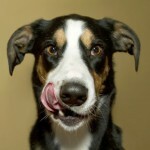 Dogs typically do not eliminate where they lie, so make sure your dog is let out to empty herself before bed. If you have a puppy, make sure she is tired and her she is ‘empty’ before bedtime. Puppies have small bladders so you will need to allow her to relieve herself at least once during the night until she can hold it through the night. Many people believe that kenneling a puppy also helps to housetrain more quickly. You may also find your puppy sleeps better (and you will hear her better when she needs to pee) if she can hear, smell, and see you are nearby. If you don’t plan to have your dog sleep in your bedroom, transition the puppy into another room within a few weeks to avoid the habit of sleeping with you. DO resist the temptation to visit the kennel to calm her down or take her out if she cries, as she will learn that whining is a way to get your attention. You can save money by purchasing an adult-sized kennel and putting a barrier inside to allow her to grow into it. Check out this article on kennel training a puppy for more information. If you are certain your dog won’t chew or destroy its bedding, you can use comfortable blankets or covered foam inside the kennel. If she is a chewer, simply leave the crate empty and she will be fine until she stops this behaviour. You can also gradually add a cover during night time if the kennel has no solid sides. At night, an adult dog shouldn’t need toys. Once you begin using your kennel at night, you may wish to use it when you are away for a few hours too. (Refer to kennel training a puppy above for puppies.) As long as your dog accepts the kennel well, is completely housetrained and has toys to occupy her during the day, this should not be a problem. Just make sure it is for no longer than 8 or 9 hours while you are at work. Any longer and you might consider having someone drop by for relieving, water and a play break at some time during the day. To make the most positive kennel experience possible, your dog needs to view the kennel as a refuge, not a prison or punishment. Dogs are social animals and need your companionship when you are home (and puppies especially need your guidance to help them be good doggie citizens). And of course, dogs also need exercise each day that will tire them out, so they don’t get into trouble in the first place. Dogs with separation anxiety may also not be the best candidates for the kennel as they may injure themselves trying to get out. Given the choice, many dogs will go into their kennels for a “time out” without being told. So, once your dog accepts the kennel, give her the choice to use her kennel when you are home by leaving the door open. You may be surprised to find her curled up napping.